Unfortunately, my adapter from my Roadster high power wall connector to my Model S is on backorder. I am living with the 110 connection in my house. My dryer is in the middle of my house, so there is no 220 plug in the garage, only the Roadster high power connector. The following information might be useful for someone else with only 110 connection permanently or in a short term situation such as on a road trip with limited charging options. Although the charging is extremely slow, I have not found using a slow charge to be a large issue. So far I have been able to take the car wherever I have needed to go without any range anxiety. I have encountered four limitations with the 110 cable so far. 2. The 110 adaptor plug is an awkward shape. I think it should be more “short and wide” then “long and narrow”. When plugged into a high socket, the weight of the plug and wire make it difficult to keep a strong connection. The first outlet is about 3 feet off the ground. Reminds me of days when you had to travel with an adaptor plug and a transformer to switch voltage. The connection is not strong with the two plugs and unfortunate weight distribution. I had to push it in extra tight before the car would start charging. 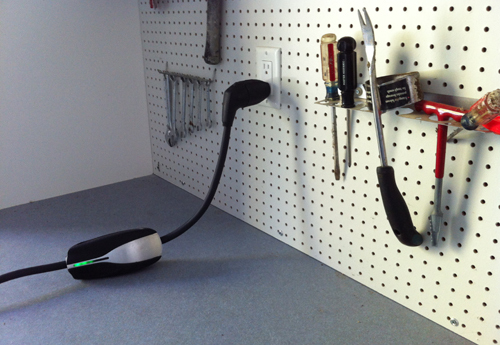 Also because the cable is short, it is easy to trip on when walking by as there is not enough extra cable to easily drape it flat along the garage floor. My solution for the short plug was to rearrange my garage, and put the Model S in the third bay. 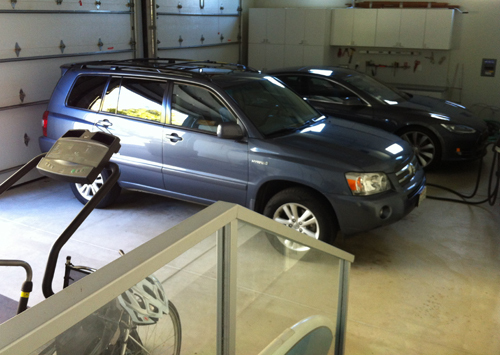 The car has been exiled to the back of the garage. I did exaggerate the photo a bit by only lighting the bay filled with toys, not cars. The third bay has storage cabinets and a shelf with two sets of outlets. In this configuration, I can rest the plug on the open shelf, and get a much tighter seal. 3. While in this new configuration, I did have the fuse trip during one day of charging. I did not notice this and lost a lot of charging opportunity time. I had driven quite a bit the day before, so this was unfortunate. So far, the fuse has only tripped once, but I have only had the car for one week, so time will tell. But I can easily monitor this from the wonderful Tesla App. Would be even nicer if the app sent you a text message when power was interrupted. 4. I would also prefer to not use electricity during PGE peak periods, so my car will cost more to drive until the adaptor arrives. This entry was posted in Adaptor, charging, Contract, Model S, Range, Tesla App. Bookmark the permalink. ← 2nd on the Block! I suggest checking to see if you have a 20A breaker, instead of just 15 A, and if any lighting is on the same circuit install LED or CF bulbs. 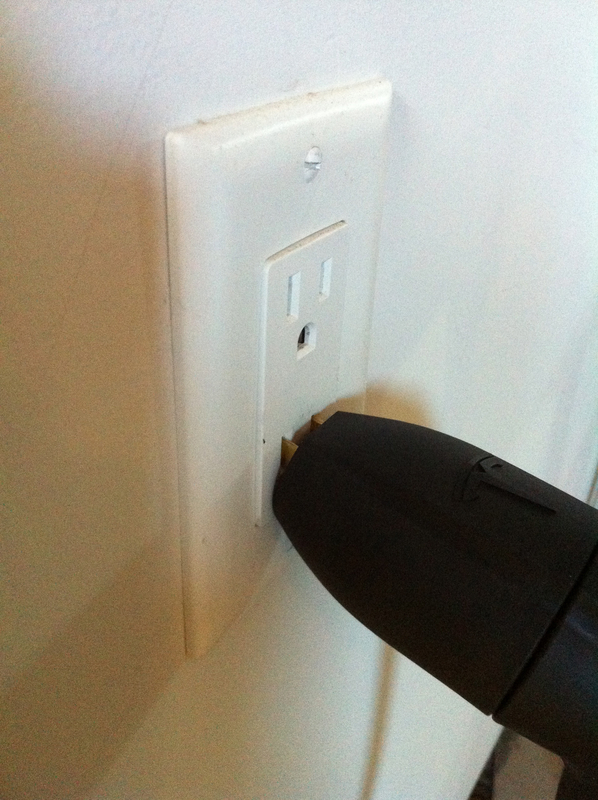 Also, replacing your 110 V outlet with a heavy duty one would reduce the chance of heating due to a poor connection. Have fun with your S! I probably should look into the circuit more in the garage. It has popped the circuit two more times, but I only need to reset the button on another outlet. Hopefully my adaptor will come soon, and I won’t have to fiddle with the garage circuitry. Oh the gfi receptacle is popping not the breaker in the breaker panel? The gfi is probably getting old and weak, they don’t last a long time. If the gfi receptacle is on a 20a breaker (and even if it isn’t) I’d buy a replacement 20a gfi receptacle, and then you shouldn’t have any more issues. Aha! Thx for the info. Solved a minor mystery for me, too. I have had my tesla S 85W fir 7 months and easily live with 110v for daily driving. I charge more every night than I drive. When I need to go on a trip I charge it fully at a tesla super charging station 4 miles from my office. Just moved into my new house in Hawaii and are waiting on the install of our solar panels and wall. Glad to stumble onto your blog. Thanks for the info! First check the Troubleshooting section of the mobile connector manual (it’s online) to see what the red light means (different number of flashes mean different problems). If you think something is wrong with the connection, I would first minimize any weight stress of the mobile connector cord on the outlet. 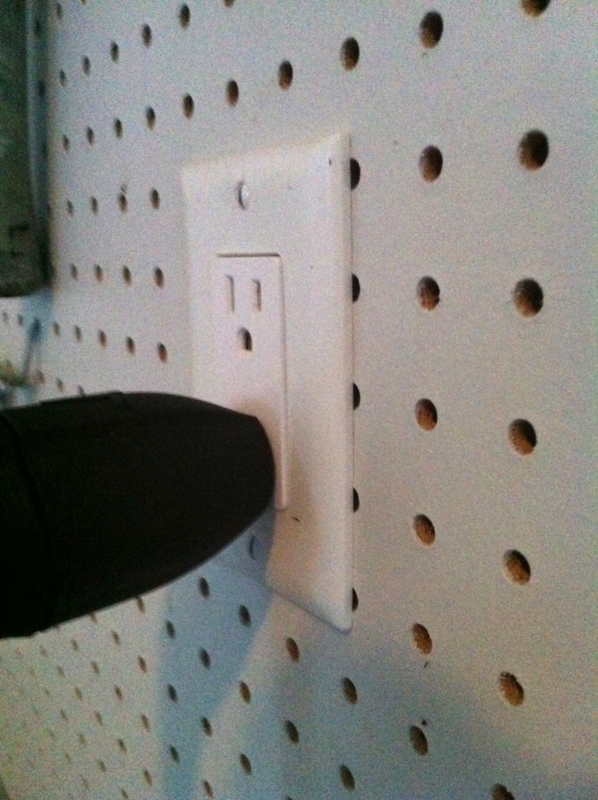 Because my 110v outlet is high on the wall, but is installed on an open stud, I am using a clamp that applies steady but very moderate pressure on the connection between plug and outlet to keep it seated well. Just in case, I also put a garbage can near the car and rest the cord on that so there’s no weight pressure from the cord on the charging port. In addition, I’d make sure you have a new, not used, mobile connector so you can eliminated that as a potential problem.